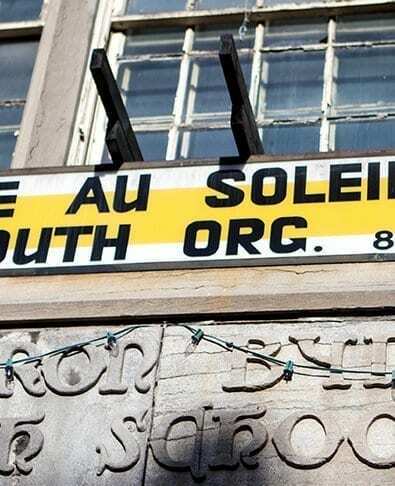 On March 12, 2019 the Regroupement des organismes humanitaires et communautaires pour les mesures d’urgence à Montréal (ROHCMUM) held its annual seminar during which they awarded the Claude-Beaulieu Prize to Sun Youth’s own Ann St Arnaud. The Claude-Beaulieu Award is presented by the ROHCMUM to an individual who works in the field of civil security in order to highlight their commitment to helping those affected. 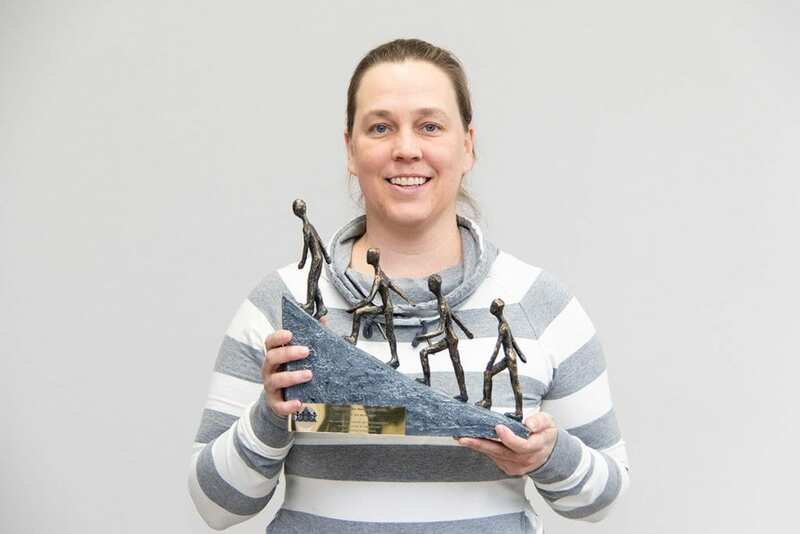 An impressive career path led Ann St Arnaud to be honoured with this award. Ann St Arnaud has been involved with Sun Youth since 1995. The following year she would join in the organization’s efforts to assist flood victims in Saguenay, where she gained an interest for civil protection. She further developed this interest in January 1998 when the infamous Ice Storm hit the province. Working in Sun Youth’s Emergency Services, Ann was about to finish her shift on January 4th when Sid Stevens asked her if she could stay late… She wouldn’t go back home for another three days! During the crisis she assisted hundreds of Montrealers with food, clothing, medication and transport. In 2000 a major housing crisis affected Montreal with a record number of underprivileged Montreal families finding themselves on the streets by July 1st. The authorities set up temporary shelters for homeless families. Again Ann St Arnaud was found working on the frontlines by day and at the coordination center by night. This crisis would repeat for 5 years every July. Based on a recommendation from Mrs. St Arnaud the city would create a year-round service for homeless families with the Service de reference pour les ménages sans logis. In 2006, war broke out in the Middle East and Ann was at the Dorval airport welcoming back into the country the hundreds of Canadians evacuated from Lebanon by the government. Montreal was their entry point to the country. She was again found assisting the evacuees with the first necessities. Ann St Arnaud had the initiative of opening a daycare center to have the children looked after while their parents were meeting with the various assistance workers. She was also responsible for managing the $50,000 donated to Sun Youth by the Montreal Lebanese community to help the evacuated families get settled in. On January 12, 2010, on her first week back from maternity leave, Ann St Arnaud was again at the heart of Sun Youth’s efforts to assist Canadian National, this time those affected by the catastrophic and massive earthquake that hit Haiti. Less than 48 hours later she was at the Montreal-Trudeau Airport to welcome back hundreds of Canadians fleeing the ravaged country, flown in by the Canadian Army Hercules airplanes day and night. Because it was impossible to bring all these people to Sun Youth to assist them with the first necessities (many were still wearing summer clothes while it was winter in Canada), she had all these supplies (such as clothing and food) brought to the airport for distribution. Between 1998 and 2015, Ann St Arnaud was also a volunteer first responder for fire calls at Sun Youth and was mobilized hundreds of times at all hours of the day and night. She clothed, fed, transported and comforted thousands of Montrealers during those years. 2007 saw a new beginning in the way fire victims were assisted. That year an agreement was signed between the Quebec division of the Canadian Red Cross and Sun Youth to assist fire victims, thanks to the combined efforts of Esther Laforte of the Red Cross, Tommy Kulczyk from Sun Youth and of course, his colleague Ann St Arnaud. The result was an assistance program that is often described as the best of its kind in North America with fire victims typically moving into a new apartment within 3 weeks after the fire. This service works in collaboration with the Montreal Fire Department (SIM) and the Office municipal d’habitation de Montréal and offers first-hand assistance of the scene of a fire, material assistance, guidance and support so that the affected families may return to a normal life as soon as possible. Ann St Arnaud is a founding member of the ROHCMUM and was always a leader as a member of its Board of Directors. She has held the roles of President, Vice- President and Treasurer. She was always a strong believer in the importance of the Regroupement and campaigned in various organizations to explain its vital services. First and foremost Ann St Arnaud is a person who truly cares about the well-being of others. Her contributions to Sun Youth, the city of Montreal and civil security in Quebec are invaluable. Known for the quality of her interventions, her passion is contagious and over the course of her career she has mobilized dozens of friends and family members to get involved in the cause. Sun Youth is very proud of seeing her receiving such a prestigious award.